Exiled Pakistani leader Benazir Bhutto was killed in a suicide bombing today. She wasn't killed by the bombing itself, of course, she was killed by a bullet wound to the neck. Not leaving anything to chance, these Bhutto- haters! You'll recall that Bhutto had returned to Pakistan two months back after making arrangements with President Pervez Musharraf. 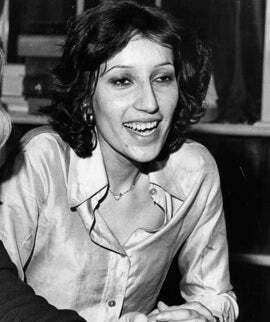 She'd been exiled from the country after finding herself embroiled in embezzlement scandals and eventually being indicted for money-laundering in Switzerland ("Points out Jezebel resident South Asia policy expert Josh Foust of Registan.net, "That only happens if you're REALLY dirty") but her absence — and according to Bhutto herself, her growing waistline — had made the Pakistani hearts grow fonder for their onetime leader, as Musharraf's alliance with the United States against terrorism made him increasingly unpopular with the country's religious poors, and thereby increasingly unpopular with the country's civil liberties advocates, and eventually increasingly unpopular with the whole entire country. Benazir Bhutto To More: People Like Me "Now That I&apos;m Fat"